Sometimes, I am at a complete loss for words when I sit down to write a post. I really just want to say "This is good. Eat it!" 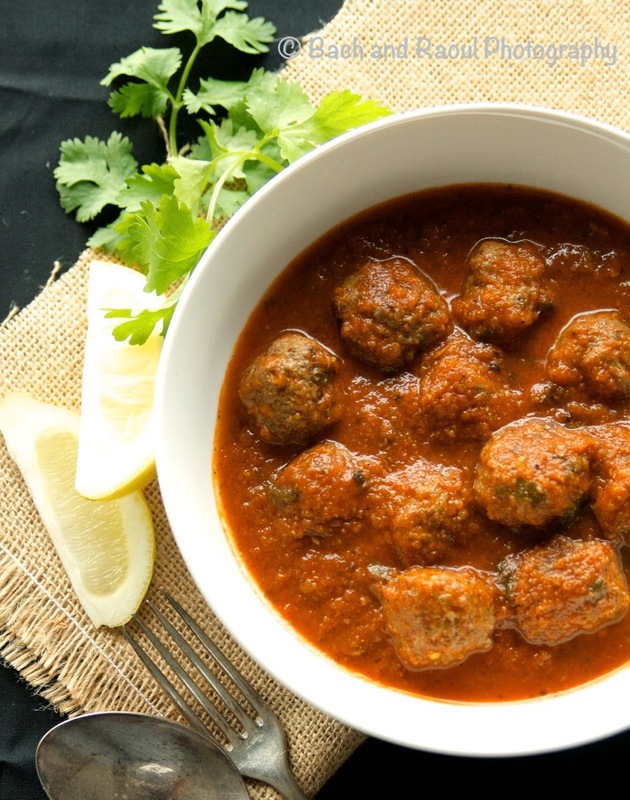 Meatballs exist in every culture in some form or other and they are always some of the heartiest, most satisfying dishes. 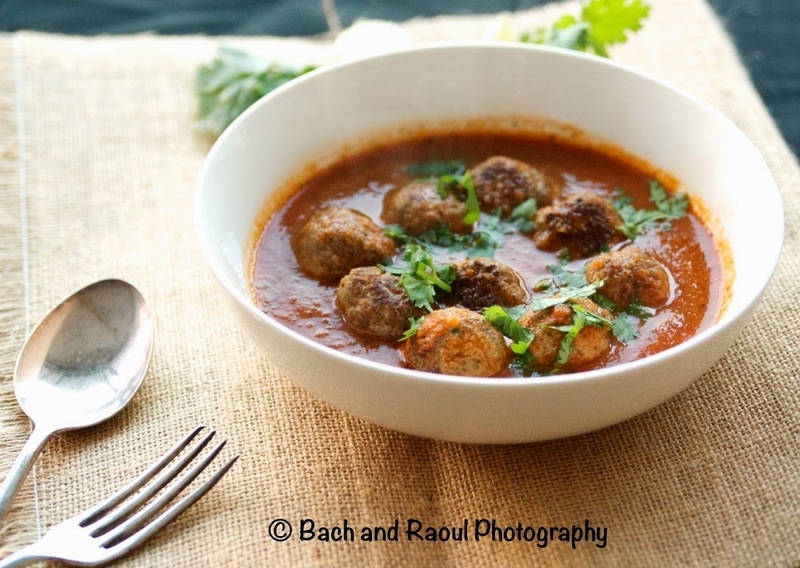 "Kofta" is essentially the Indian version of this well loved hearty dish. 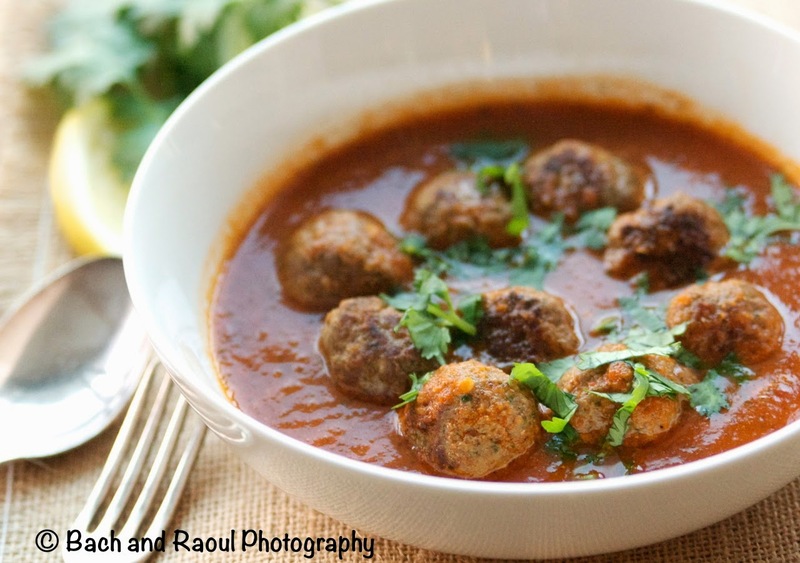 The word "kofta" isn't exclusive to India, it is used all over the Middle East and there are just as many varieties. 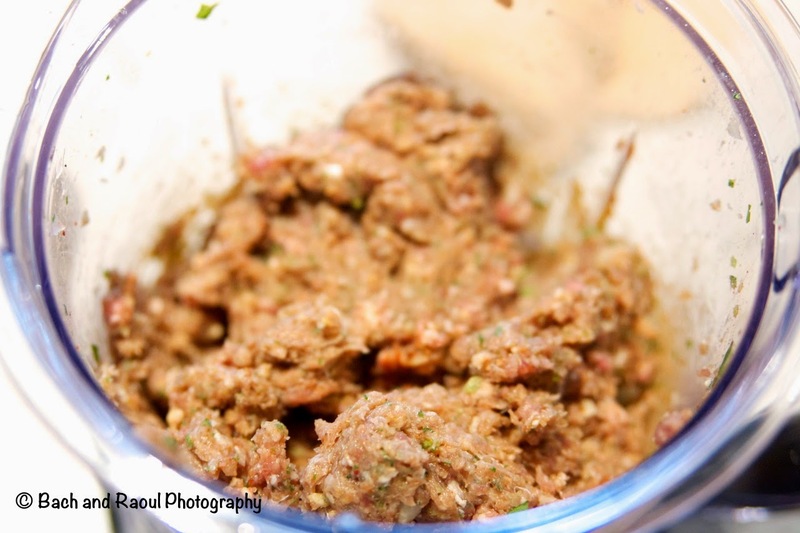 In this recipe, I have used ground lamb. Ground beef can be used too. 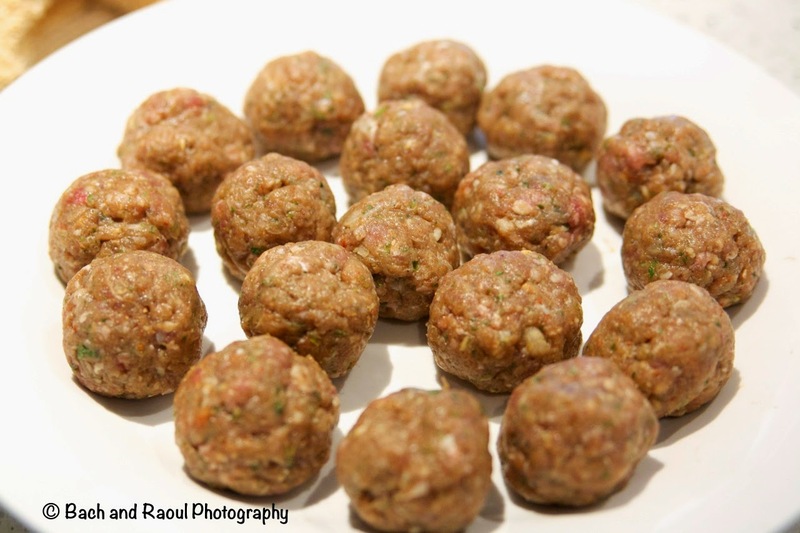 A while ago, I discovered that I could substitute wheat bran for breadcrumbs in meatballs. It works just as well and is a healthy little substitute. If you don't have wheat bran, just use regular breadcrumbs. Chop or slice the onions. Peel and clean the garlic. 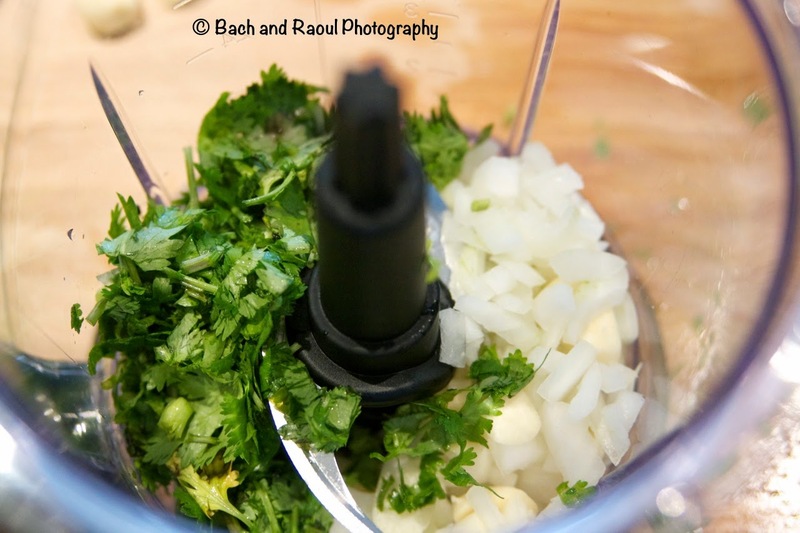 Add a little over half an onion along with 4 cloves of garlic and a cup of roughly chopped cilantro into a food processor and give it a blitz. 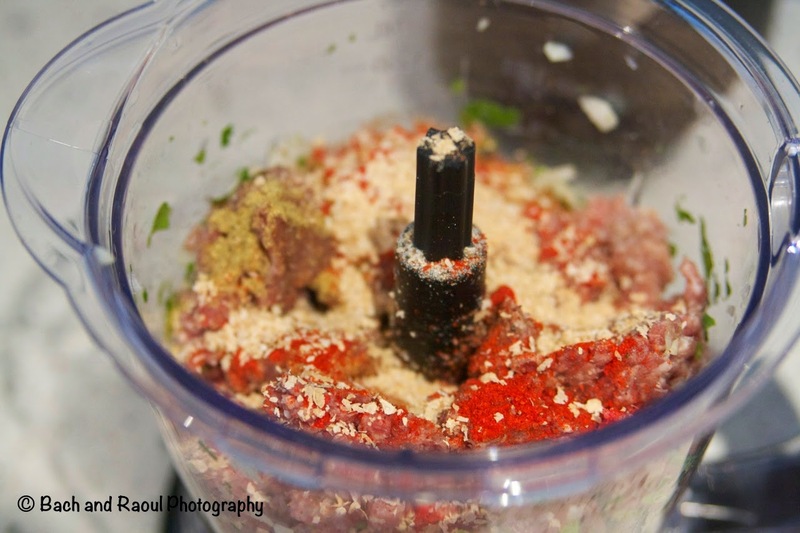 Add the ground lamb, wheat bran, a teaspoon of chili powder (mild), 1 teaspoon of coriander powder, 1 teaspoon garam masala powder, salt and black pepper. Blitz it all together. This is important. It helps keep the meatballs together. Wet your hands and shape the mixture into balls. I make them a little bit smaller than golf balls. Heat a pan and add a teaspoon of oil. You don't want to add to much oil because lamb tends to be fairly fatty and will leave out some amount of fat while cooking so we don't want to add too much more fat to this dish. Add the meatballs in batches. Do not overcrowd. Brown the meatballs, gently shaking the pan to roll them to cook all sides. You don't need to cook this all the way through at this time. We'll finish cooking it in the curry sauce. 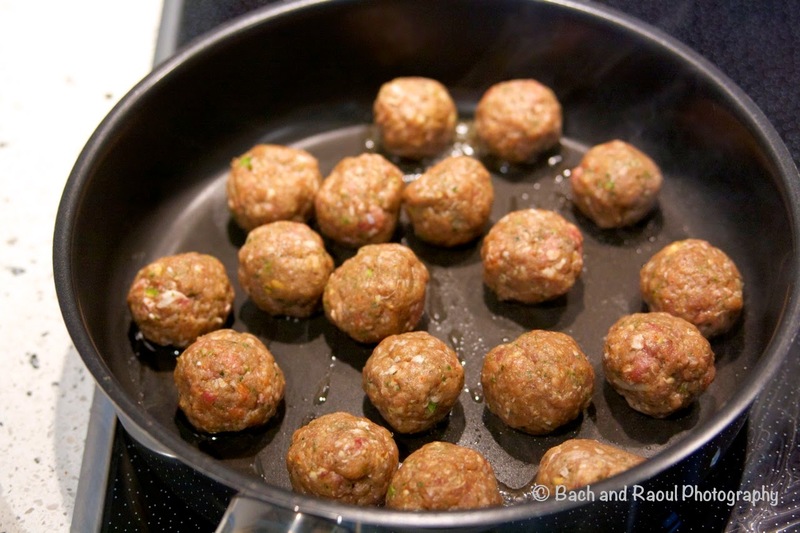 Take the meatballs out of the pan and set them aside. 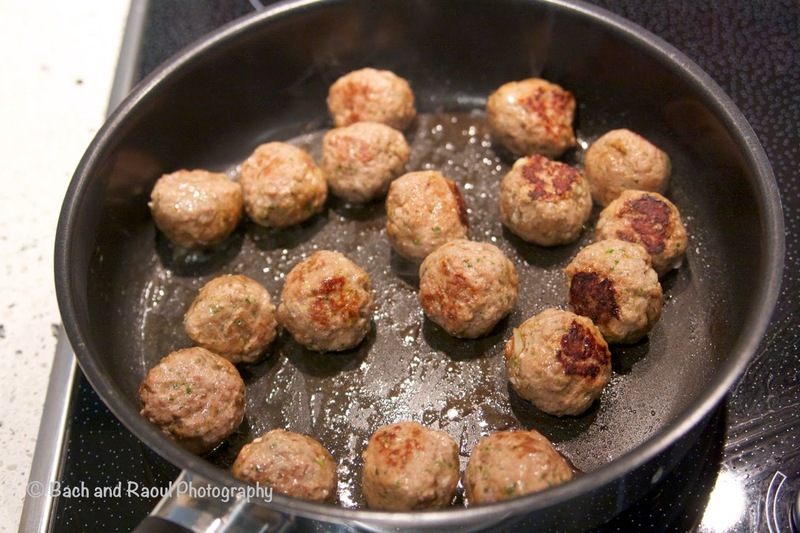 If there is too much grease left over in the pan from cooking the meatballs, then drain the fat. You might want to cool it first! Leave just a very light coating of fat in the pan, hardly any at all. 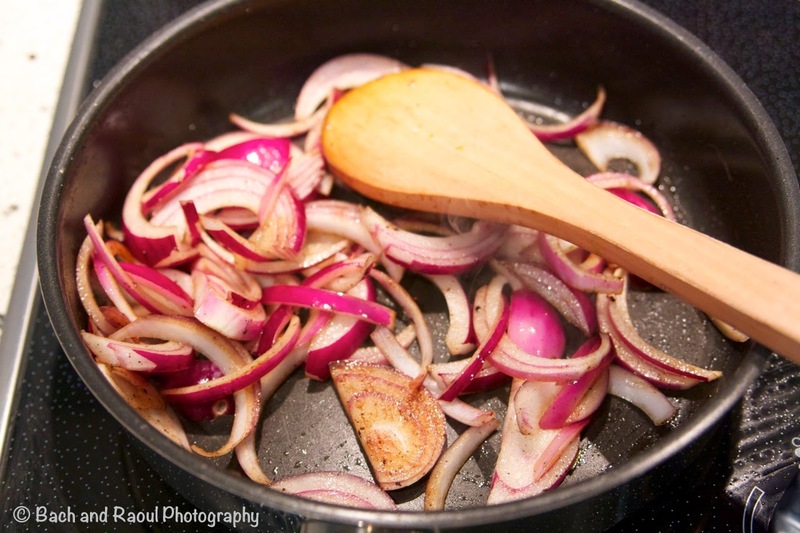 Add the rest of the sliced onions in. Add the ginger and the rest of the garlic stirring so it doesn't stick to the bottom of the pan. 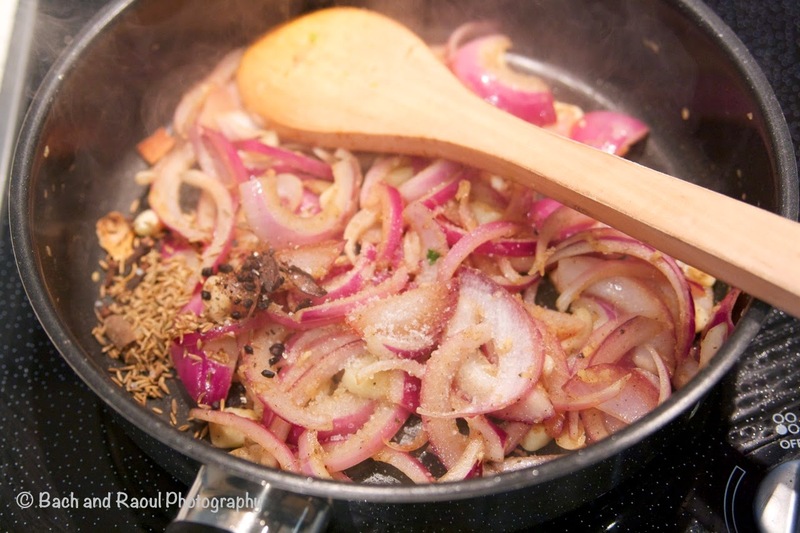 Add the cumin seeds, coriander seeds, black cardamoms (skin removed), cinnamon, mace and cloves. 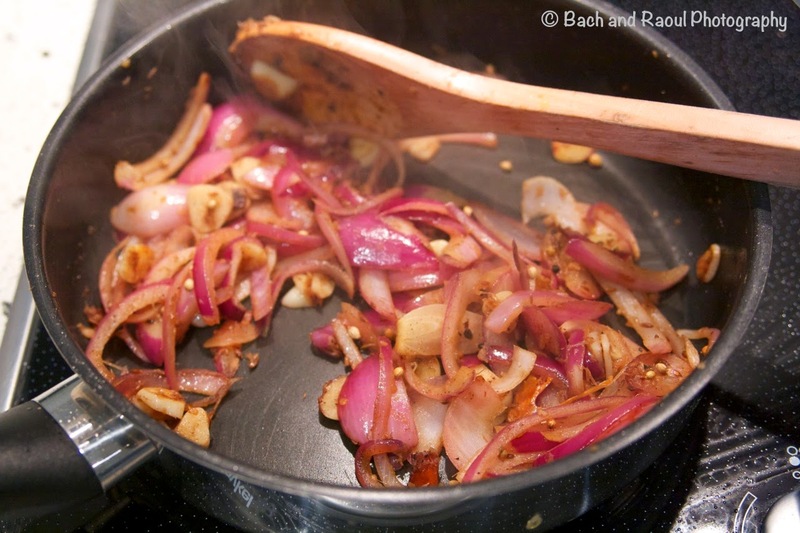 Stir it all together till beautifully fragrant and the onions are soft. 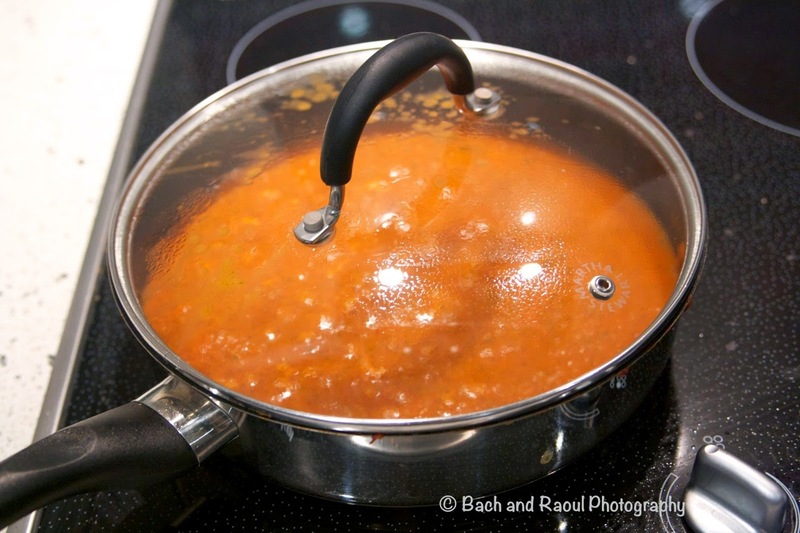 Crack open the can of tomatoes and add it in the pan along with the juices. 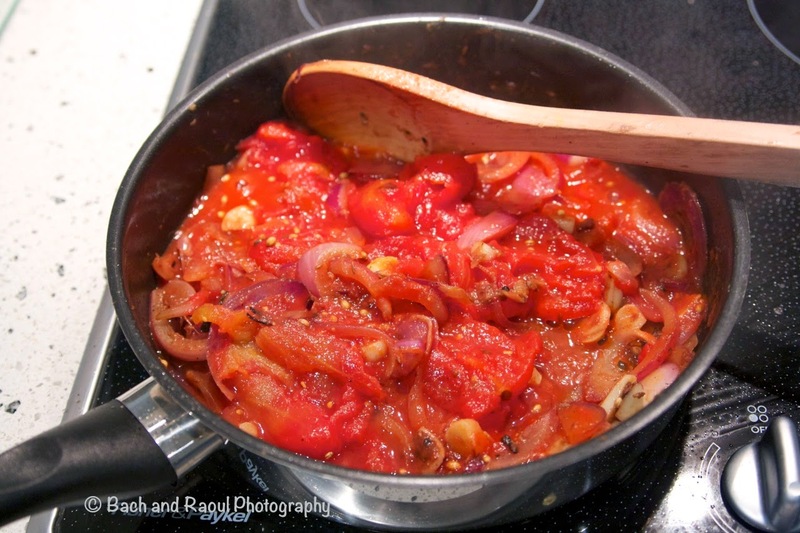 Break up the tomatoes with your stirring spoon and cook it for a few minutes. I added in a few sprigs of cilantro because I had a lot in my fridge that needed to be used up. This is optional but it tasted brilliant with the cilantro in. Cook this all together for about 10 minutes on medium heat, stirring occasionally. 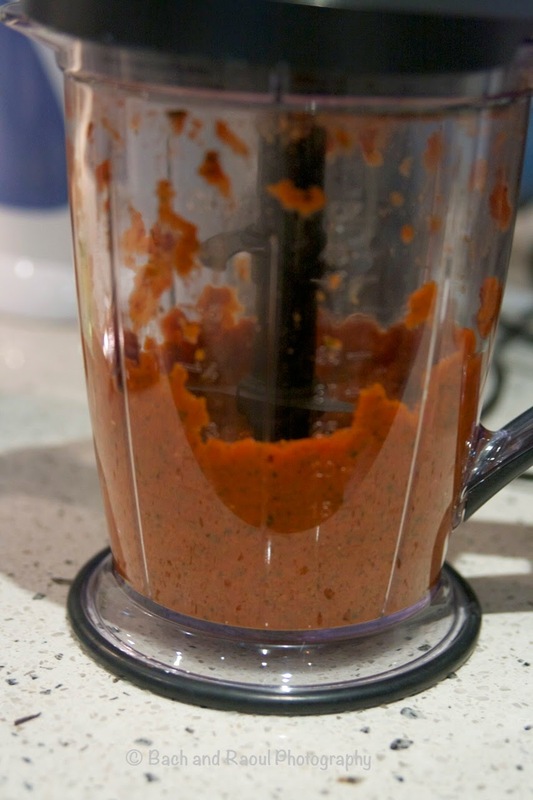 Once cooked, blitz it to a nice smooth puree. 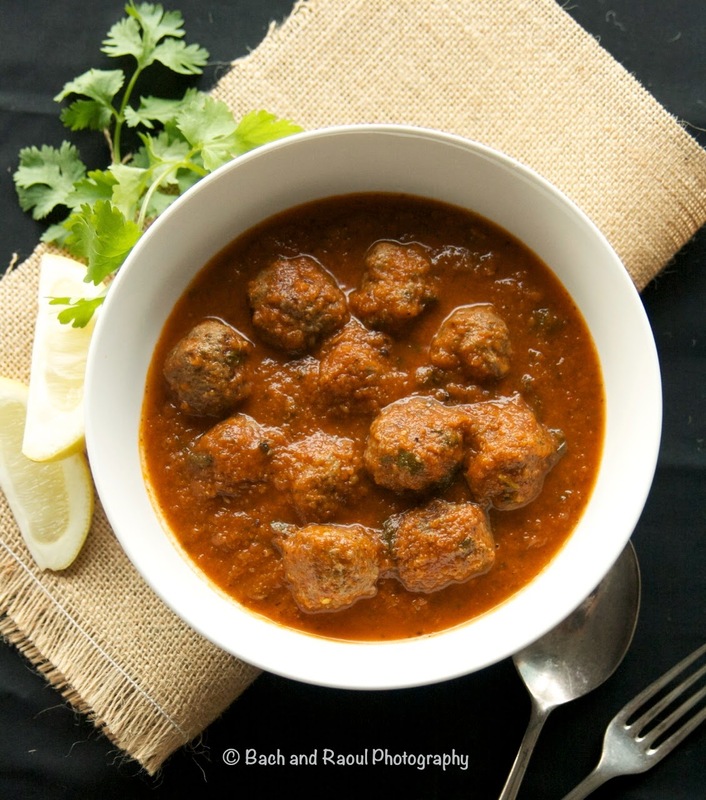 I know there is quite a lot of blitzing in this recipe but come on, work with me here! 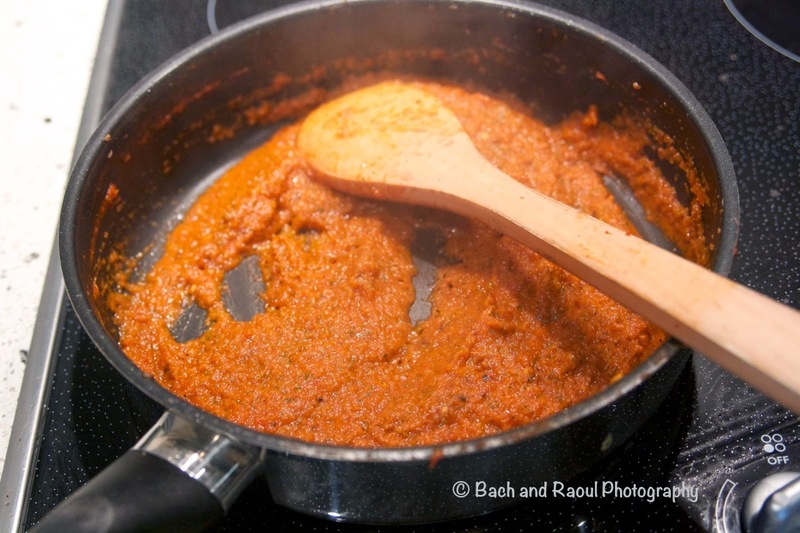 Transfer back to the pan and add rest of the ground coriander and garam masala and cook for a couple of minutes. Add 2 cups of water and bring it to a boil and turn the heat down. Lid on unless you like your food to attack you! 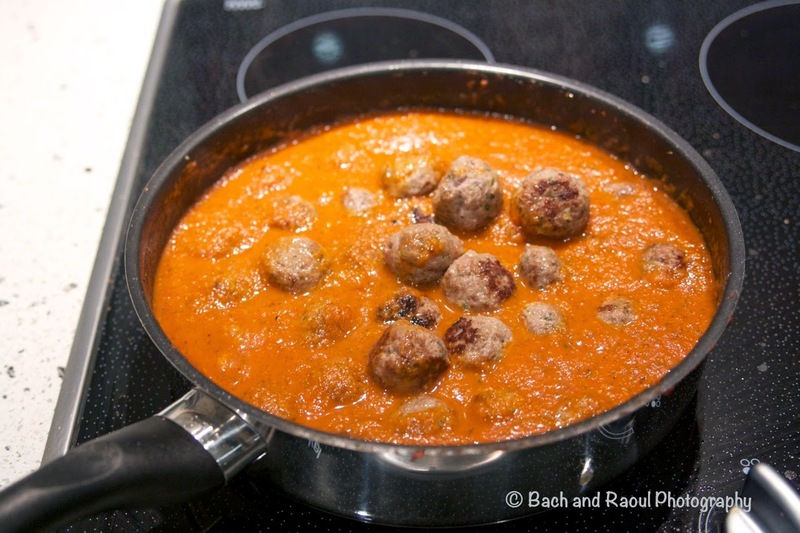 Gently add the meatballs in and let it all cook together for about 5 minutes, covered. 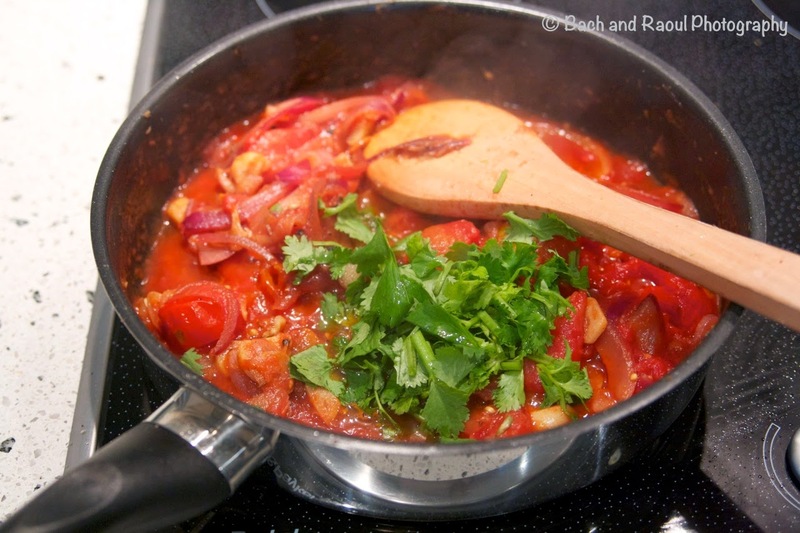 Garnish with a generous amount of chopped cilantro and serve.